The Boy Sailor Pencil Holder: your pens and pencils will be safe and sound with this sailor. 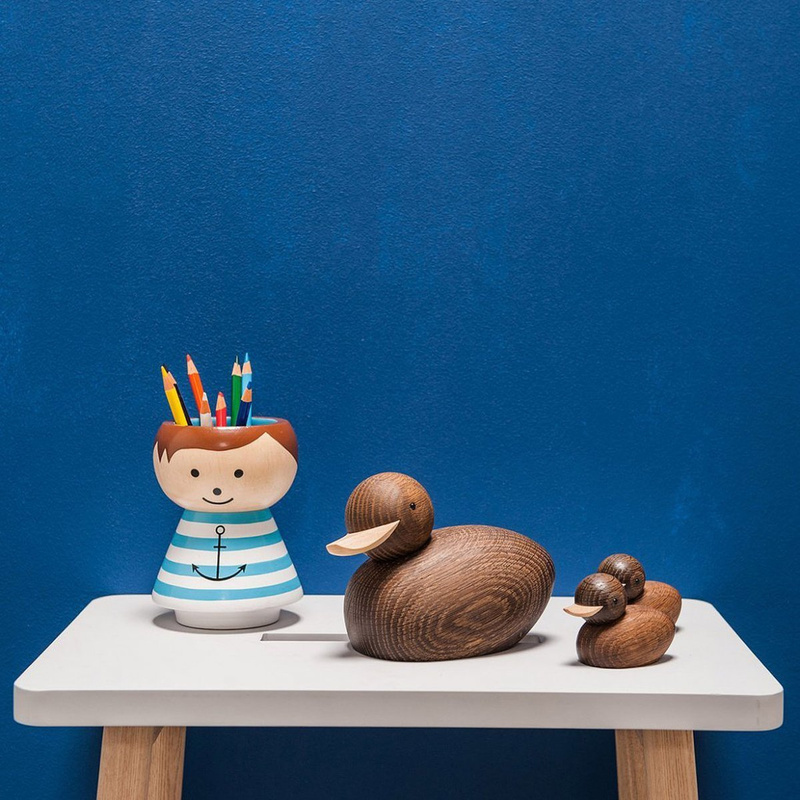 The Boy Sailor Pencil Holder by Lucie Kaas is an intriguing and welcoming wooden object, proving to be a very good article that embodies the design philosophy of this famous Danish brand. Among the many creations by Lucie Kaas wood appears to be the most consistent focal point. This material, as a matter of fact, offers a wide range of interesting uses, and the brand has worked towards enhancing with some simple products that at the same time feature a gigantic impact. Lucie Kaas has designed an entire collection dedicated exclusively to pencil holders, and the Creative Director of the brand has come up with the rather appealing idea of transforming each character into a pencil holder. 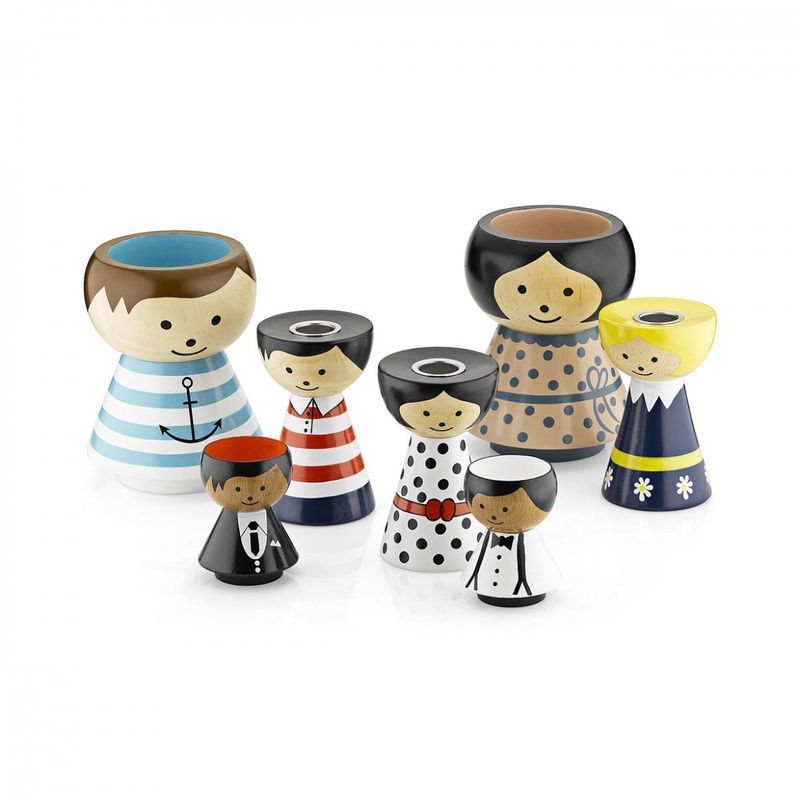 The Boy Sailor by Lucie Kaas is one of the more colourful and playful pencil holders from this collection, depicting an adorable sailor with the classic sailing sweater with horizontal white and blue stripes as well as the iconic anchor design. Not only for the originality of the design but also for the vibrant colours does this piece by Lucie Kaas have a pleasant feel that's sure to grab your attention! This lovely wooden piece works well almost anywhere. The Sailor Boy Pencil Holder is perfect for your home or office desk, or at least in wherever it's useful to keep pens and pencils while at the same time flaunting this adorable, colourful ornament. 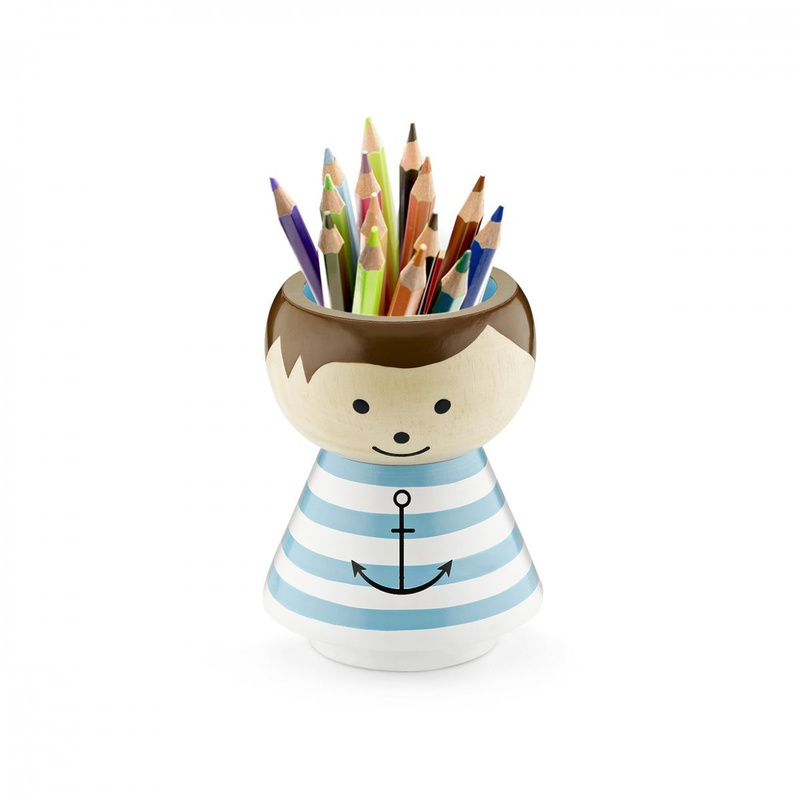 The Boy Sailor pencil holder can be placed on a shelf, furniture, or even a window display. The presence of this so intriguing wooden boy will add a spark to any layout, and it might even dim down layout that's too serious or formal.